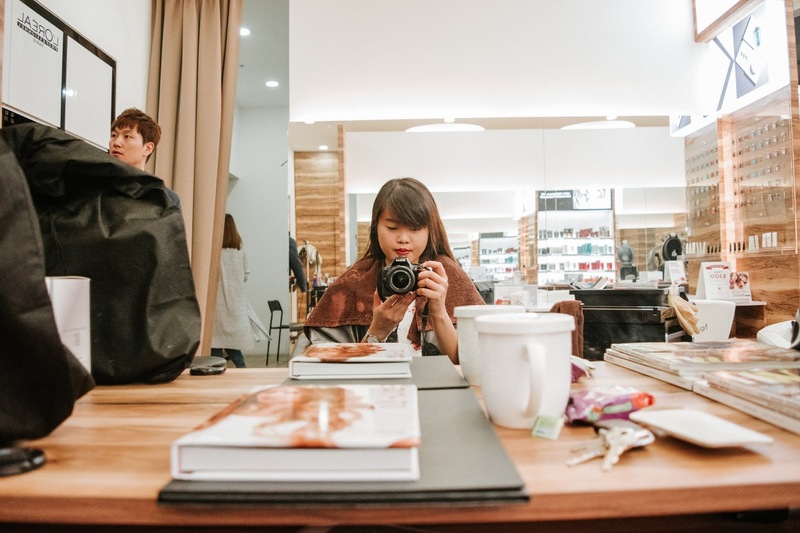 A few weeks back, I went for my long-awaited haircut and treatment at Apgujeong Hair Salon! 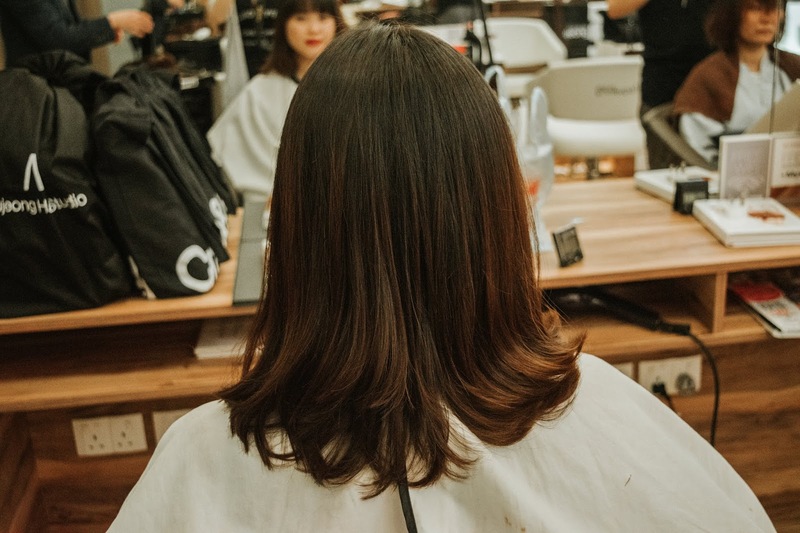 I haven’t had my tresses fixed in over 6-months now, and I desperately needed a treatment because the ends were getting really dry and unkempt. I also wanted to get a hair-cut and have my C-curls done again! 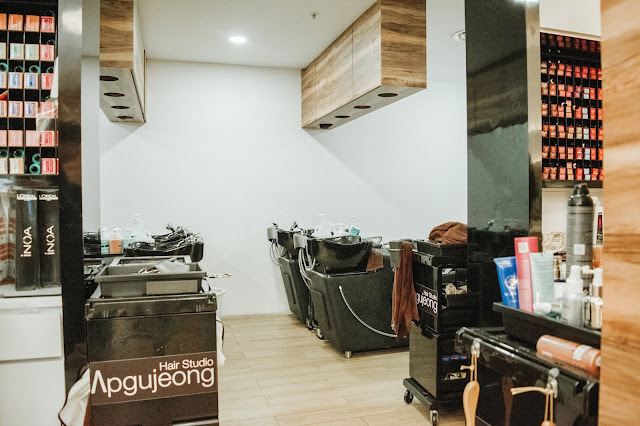 Apgejeong is one of the fastest Korean hair salons expanding in Singapore and offers full Korean hair and make-up services! 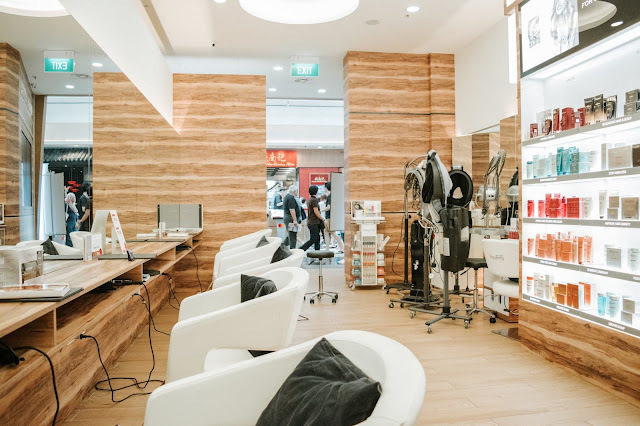 It has over 11 hair salons island-wide now and has outlets at neighbouring shopping malls so you won't have to travel out of your home vicinity to get your hair done. For me, I headed to the Jurong Point outlet since it was the one that's nearest to my place! 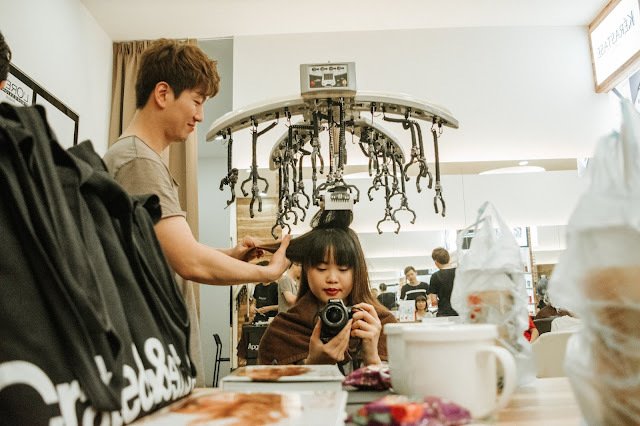 The hair stylists are Apgujeong are mostly Korean. 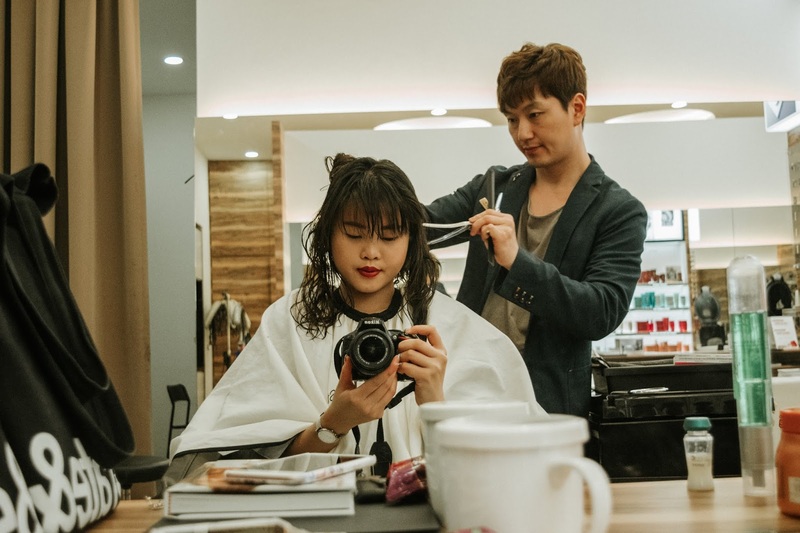 If you are afraid of the language barrier between you and the Korean stylists, Apgujeong Hair Studios also have their own in-house stylists that are fluent in both English and Mandarin, so that's nothing you should worry about! Once I arrived, I was assigned to my hair stylist, Ji-an, and I was also given refreshments and a snack once I sat down – also very attentive of my stylist to get me settled down with a bag holder. Even though English wasn't Ji-an's first language, we were still able to communicate with one another on the hair style + treatment I was going for – a hair cut + C-curl and a hair treatment. 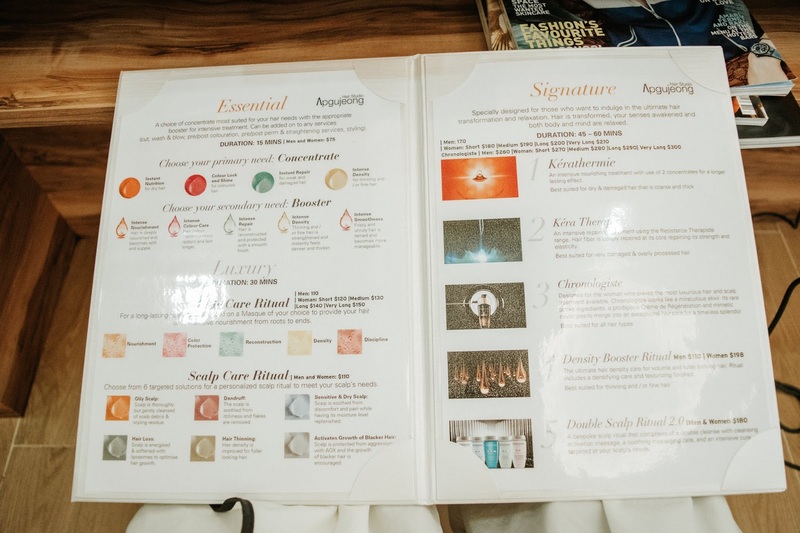 I was also given a lookbook on the types of hair treatments to choose from at Apgujeong Hair Studio (it's their very own lookbook! 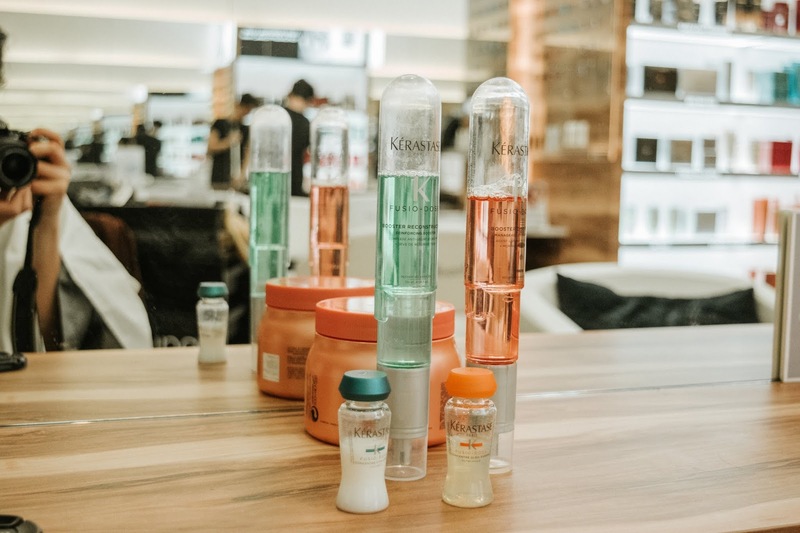 ), and I settled on the signature hair treatment in the end as it's perfect for those who are looking for the ultimate hair restoration - something I really needed as it's been almost half a year since I had my hair done! 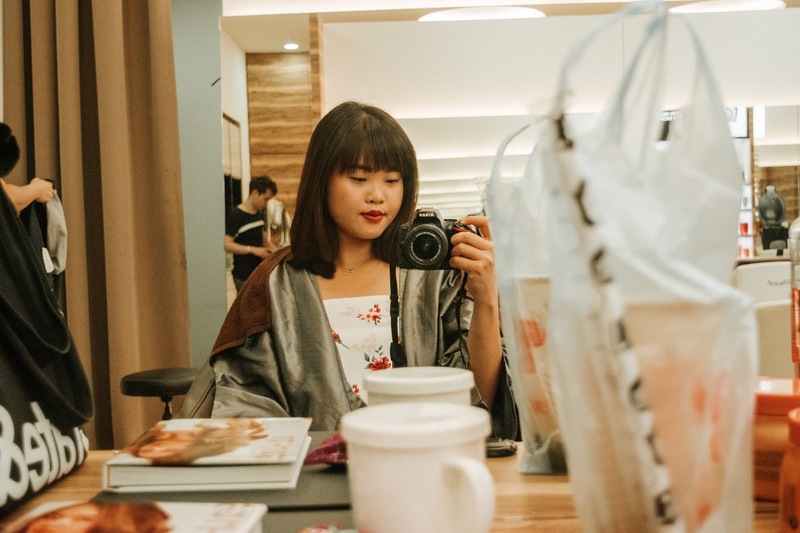 My stylist, Ji-an, then went on to give me a hair-cut and also explained the MUCOTA hair treatment that I was about to go through! He first started off with snipping off my tresses, and also gave me tips on how to better take care of my hair – I have a habit of blow-drying the ends and that might not be the best. 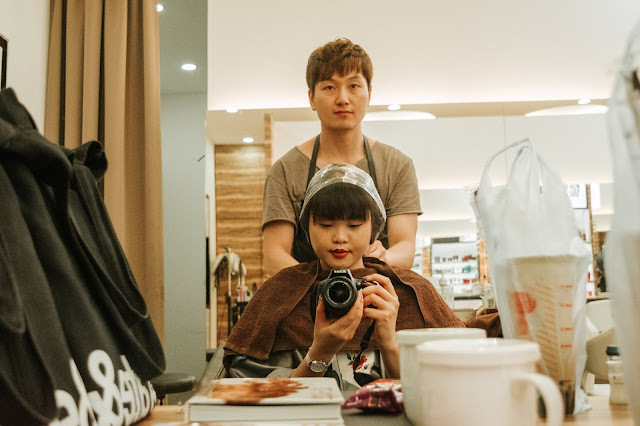 He also helped me snipped off quite a bit of my fringe (something that I really had to get used to but I’m back to my side fringe now hahaha). I wasn’t like coerced to cut or anything but also because I wanted something refreshing! I can now finally accept the fact that blunt fringes are really not my kinda thing. 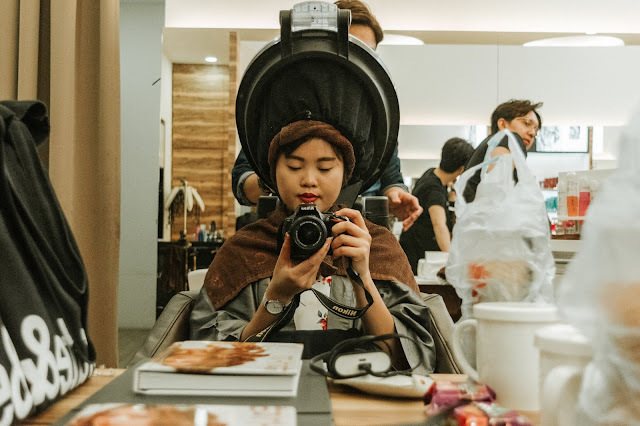 I then moved on to the Signature Hair treatment, which consists of quite a number of steps and also perfect for another looking for the ultimate hair transformation and relaxation! I first started off with the Kerathermie treatment, which consisted of 2 types of concentrate that’s suited for a longer lasting effect! This is also suited for hair that’s also dry and damaged. 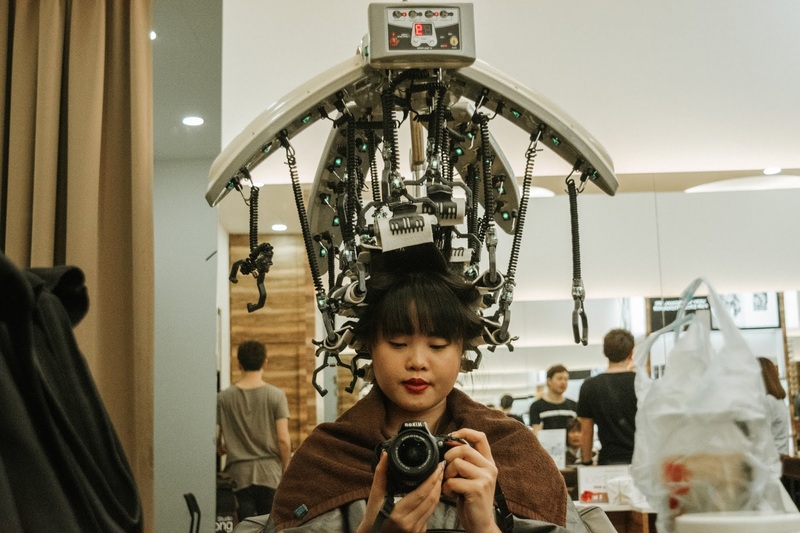 And, since I was also getting my hair curled, it was also recommended that I choose this treatment! 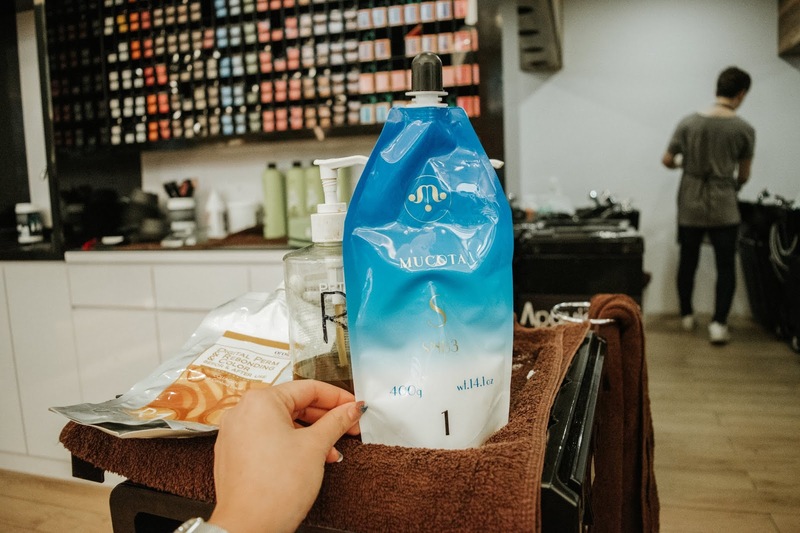 After the treatment and getting my hair washed, I then started off with the MUCOTA Step 1 treatment! I had it applied to my tresses, before getting my hair permed. The perm lasted for around 15-20 minutes, but even though there was a timer set for me, Ji-an still kept coming back to check on me and see if I was doing okay and if I needed anything. 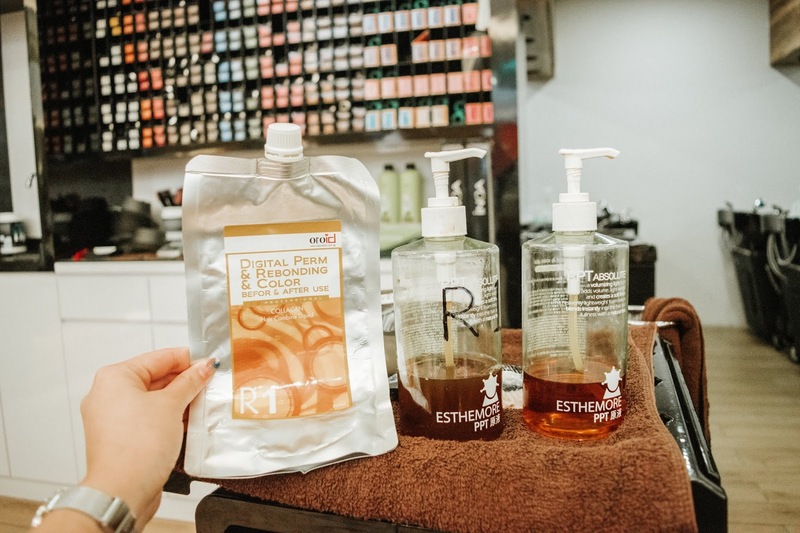 The MUCOTA treatment isn’t something foreign to me since I’ve had it done before, and it’s also the hair treatment that I always find myself going back too since it’s simple, fuss-free and so highly effective! Ji-an first prepped my hair with the MUCOTA C cream, before using the treatment shampoo and conditioner for my wash. He would also put the hair treatment before and after my curls to make sure that my hair doesn't become too dry and that the curls will last! It’s been around 3 weeks since I had my hair done, and it still feels as smooth as ever! 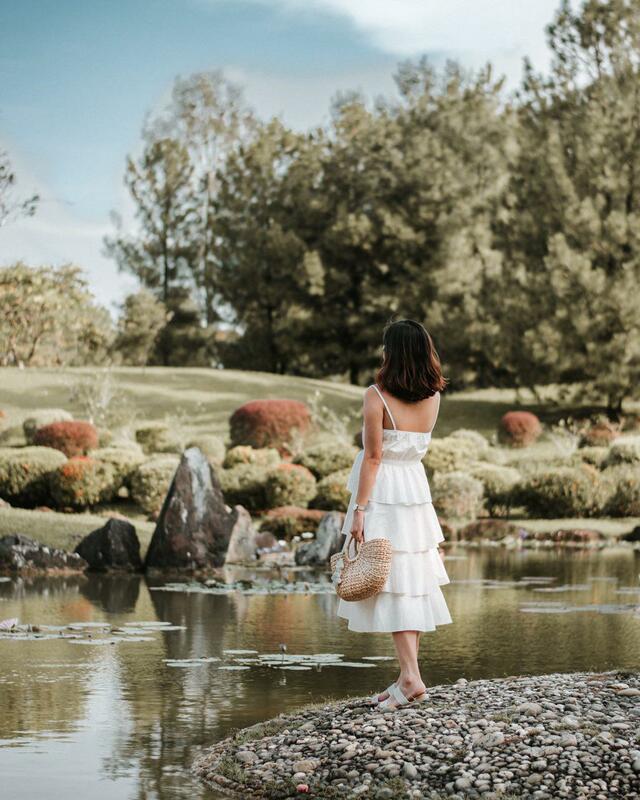 I can easily find my fingers through my tresses without it getting caught or anything! 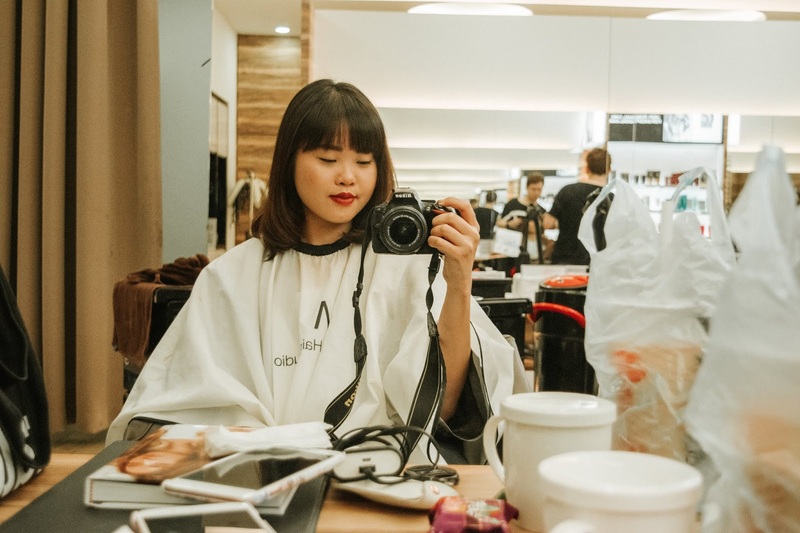 It was definitely a positive experience overall, and I can't wait to be back to get my hair coloured next! 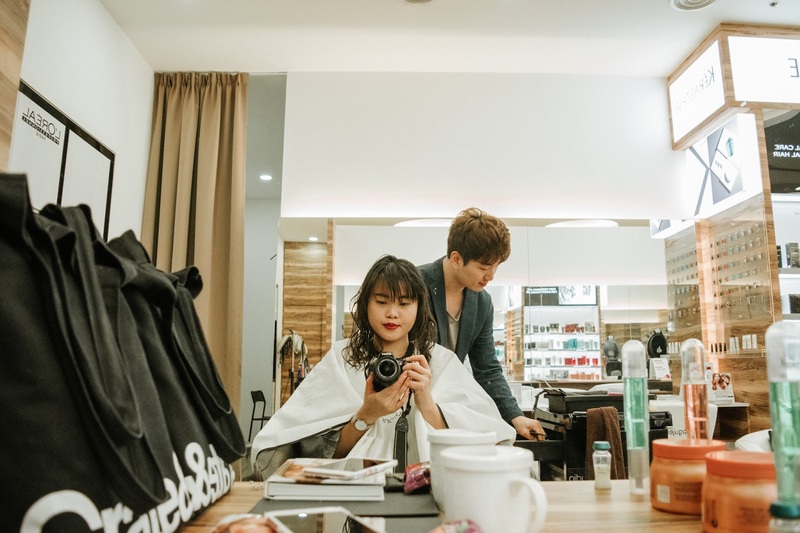 If you're also looking to try out the services at Apgujeong Hair Salon, you can also quote <Cassandra> to get a 10% off or show them this blog post! Valid only on weekdays before 5pm!